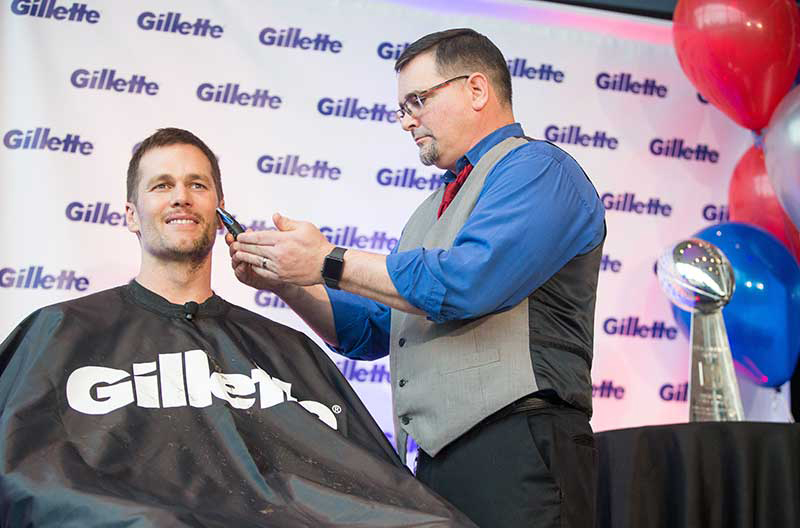 Gillette, headquartered in Boston, Massachusetts, partnered with Team Captain Tom Brady to mark the New England Patriots’ sixth Super Bowl championship with a celebratory “shave-down” for charity. 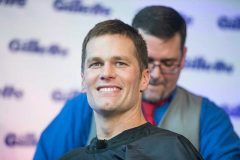 Gillette brought Tom Brady to the company’s World Shaving Headquarters in the heart of South Boston to shed his playoff scruff for the benefit of three non-profits with a long history of support from both Brady and the company. 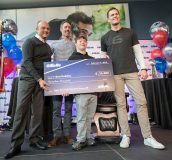 Together, Brady and the company donated more than $100,000 to three organizations: Boys & Girls Clubs of South Boston; Best Buddies; and Dana-Farber Cancer Institute. This was in recognition of the work undertaken daily to make a positive difference in the lives of Boston residents and beyond. While at Gillette, Brady also signed three Gillette On-Demand boxes, each containing a New England Patriots-branded razor handle and blades. These boxes will be auctioned off in the coming days, with all proceeds benefitting the event’s three charities. For fans of the team, these same team logo handles are sold exclusively through Gillette On Demand for $25. Special Edition Super Bowl LIII handles are also available for a limited time. For more than 115 years, the company has delivered precision technology and product performance to more than 800 million consumers around the world. From shaving and body grooming, to skin care and sweat protection, Gillette offers a wide variety of products including razors, shave gels, foams and creams, skin care, after shaves, antiperspirants, deodorants and body wash.
P&G is the parent company of Gillette and serves consumers around the world with trusted, quality leadership brands and includes operations in approximately 70 countries worldwide.